Oak Ridge became the home of two uranium enrichment plants (K-25 and Y-12), a liquid thermal diffusion plant (S-50), and a pilot plutonium production reactor (X-10 Graphite Reactor). Groves approved Oak Ridge as the site for the pilot plutonium plant and the uranium enrichment plant in 1942. Manhattan Project engineers had to quickly build a town to accommodate 30,000 workers—as well as build the enormously complex plants. There was a celebration in Jackson Square on September 19, 2012, almost five years ago, in honor of Oak Ridge’s 70th birthday. That celebration include historic displays and talks, special games and activities, a preservation award, and a special free showing of “Fat Man and Little Boy” inside the Oak Ridge Playhouse. Community organizations such as the Children’s Museum of Oak Ridge, the American Museum of Science and Energy, and the Oak Ridge Heritage and Preservation Association all participated. Former Oak Ridge historian Bill Wilcox talked about the history of Oak Ridge, Y-12 National Security Complex Historian Ray Smith gave a brief update on the status of the Manhattan Project National Historical Park, and Mick Wiest presented the Oak Ridge Heritage and Preservation Association’s annual historic preservation award. Also, former Oak Ridge Mayor Tom Beehan commemorated the day by cutting an official birthday cake and reading an official proclamation designating September 19, 2012, as the 70th birthday of the World War II Secret City of Oak Ridge. 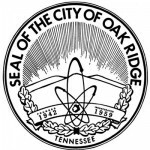 The steering committee proposed for the city’s 75th anniversary this year would be formed in conjunction with Explore Oak Ridge (the Oak Ridge Convention and Visitors Bureau) to recognize the city’s roots during the next 16 to 18 months, City Manager Mark Watson said in a July 6 memo to City Council members. The steering committee will not initially require finances for any sponsoring event, but will be established as an approving committee for officially sanctioned events within Oak Ridge, Watson said. Any financial requirements, currently unidentified, would be requested as the need arises. “Recognizing that many community groups and corporations intend to participate or sponsor events recognizing the establishment of Oak Ridge and also recognizing that many major community developments shall occur during the upcoming year (e.g. Friendship Bell), an Oak Ridge 75th Anniversary Steering Committee will have many events and activities to review,” Watson said. Oak Ridge Mayor Warren Gooch has been asked to chair the group and work with Explore Oak Ridge and its committee to review and sanction proposed events and coordinate the planning of the celebration years. Those activities could include events by local clubs, the Children’s Museum of Oak Ridge, Oak Ridge Heritage and Preservation Association, and Celebrate Oak Ridge, among others, Watson said. The City Council meeting starts at 7 p.m. Monday, July 10, in the Oak Ridge Municipal Building Courtroom at 200 South Tulane Avenue. See the agenda here.